and each 3 meters ,there is a mud agitator. suitable range, not to deviate from the center. longer service life. It is also the most popular choice internationally. GN Solids Control is one of the largest companies in China to provide turnkey solids control solutions in oil and gas industries. 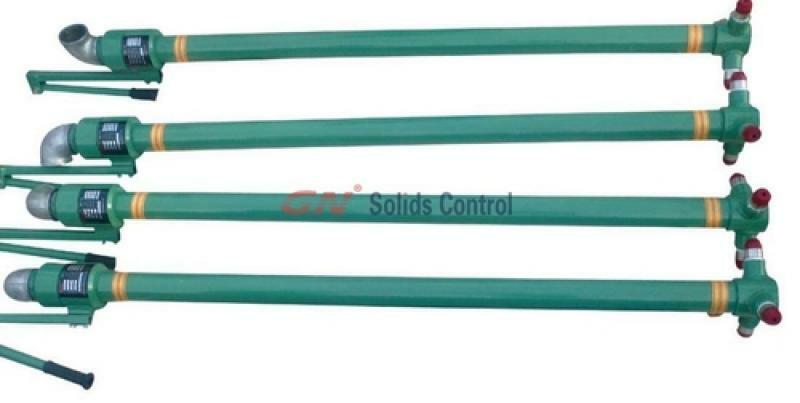 During the past years development, GN Solids Control has already become a world famous brand in the solids control field. With the development of GN Solids America LLC and GN Solids Russia, GN will have the chance to service more and more clients, and right now GN solids control and drilling waste management systems have already been used in over 60 countries. 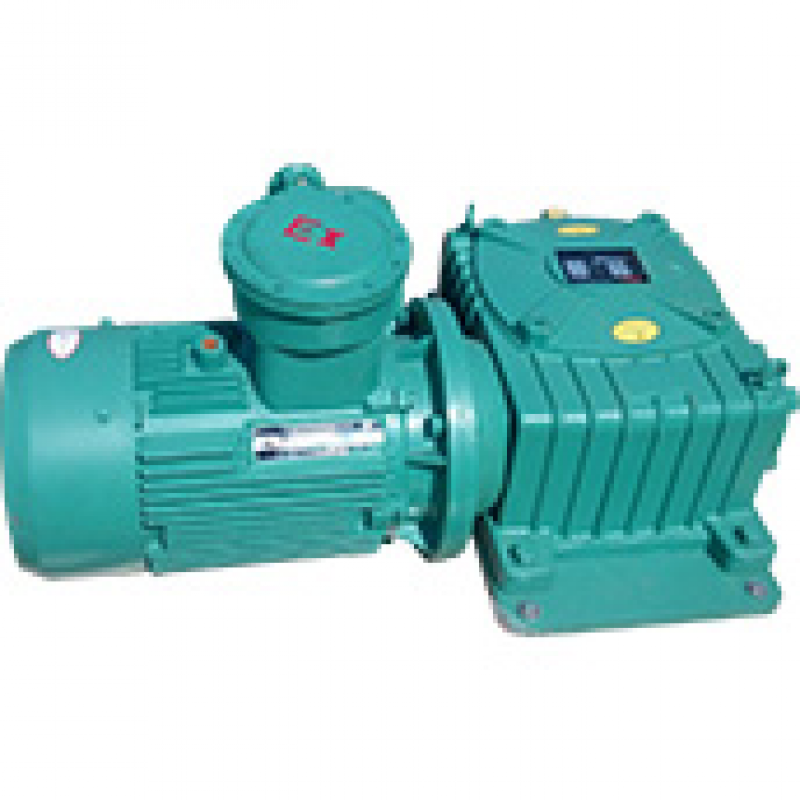 GN is a company that can provide whole solids control project to customers, and on the other side, GN Solids Control is manufacturing various kinds of spare parts such as mud guns, centrifugal pumps, shear pumps, submersible pumps etc. Some of these spare parts are sell very well, and after the clients have used GN solids control spare parts for a while, they come to GN for turnkey solutions because they already have the confidence about the excellent quality of GN solids control and drilling waste management systems. Today we would like to give you a short introduction about GN Mud Guns. 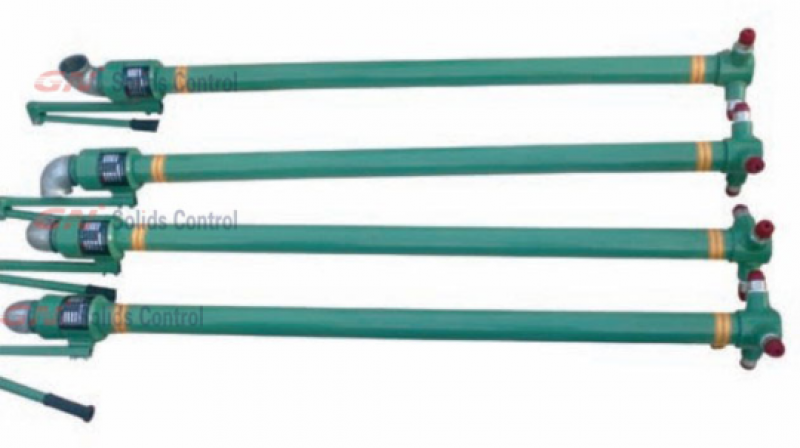 As we all know, GN mud guns are used for flush the corners of the fluids in mud tanks, and they are usually working together with mud agitators. When a mud agitator is keep the solids rotating in mud tank, the mud gun can help to work on the corner due the large working pressure. There are two common types for GN mud guns, one is a fixed type (which means the mud gun is fixed on a mud tank and can only work for the specific angle), the other type is a rotating one, the mud gun can rotating by adjusting the hand lever on the top. Usually, we recommend customers to use rotating type, although it is a little expensive, it is quite convenient to use. The working length of mud gun shaft can be decided by the height of tank.